According to the National Council on Aging, approximately half of all people aged 60 and older have experienced some form of abuse, from physical, emotional, and sexual abuse to financial exploitation, neglect, and abandonment. Yet while the typical elder abuse training focuses on spotting and responding to incidents of abuse, few training interventions work to prevent abuse before it happens. Even fewer trainings focus on the role of care providers—the people most often interacting with older adults in their homes and in residential care settings—in preventing and spotting abuse. But when supported with proper training, care providers can hone skills that can prevent abuse from happening in the first place. 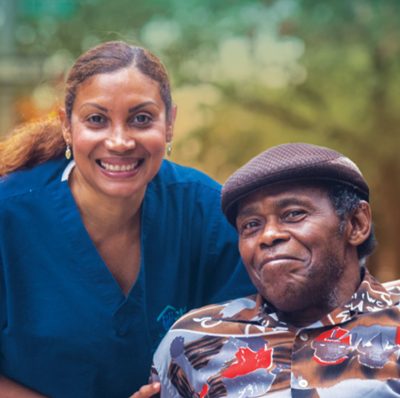 In 2013, PHI developed and evolved a training curriculum on elder abuse prevention and neglect for direct care workers and care provider staff. Funded initially by the Centers for Medicare and Medicaid Services, the training was developed in partnership with the Michigan Department of Health and Human Services and the Indiana State Department of Health. PHI’s Training to Prevent Abuse and Neglect (TPAAN) goes beyond the usual “identify and report” approach to elder abuse training by teaching caregivers the skills to prevent potentially abusive situations. Designed as a train-the-trainer program, TPAAN promotes communication and interpersonal skills that help those who have regular contact with older adults listen more effectively, manage their emotions when under stress, and turn potentially explosive situations into positive, meaningful interactions. In 2015, PHI co-facilitated TPAAN trainings for more than two dozen Michigan older adult services staff and volunteers, who then disseminated the training throughout the state to an estimated 850 workers. About 95 percent of those trained reported learning new ways to handle stressful situations, and 98 percent indicated that all of their questions about reporting abuse and neglect were answered through the training. PHI has since delivered TPAAN trainings in several locations around the country.